Start the New Year off smiling. 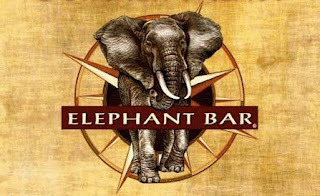 For the month of January, we're giving away a gift certificate to the Elephant Bar and Grill! Use it for a romantic dinner, take-out meals or for that night when you just feel like eating out. This is part of our continuing effort to bring more smiles back into people's lives. Smiles are contagious, so let's keep them going. If you're receiving our E-mail newsletter, you're entered. You can sign up in the right-hand column, under "Join Our Mailing List." It's fast, free and smile inducing. We have some rule guidelines, you can read them here.